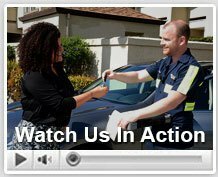 Hear firsthand from our satisfied customers for towing and roadside assistance! Give us a call at (858) 457-8530! Miguel Gonzalez 12/11/2010: I wanted to tell you that you have a great team working for you they been very helpful, and cheerful. God Bless you all. Thank You. Rachel Avery 3/5/2009: My car broke down while I was on the I-8 heading into San Diego and I was really worried. Green Towing was reassuring the entire time! As it turns out, the problem was more complicated than a jump start or tire fix, but the Green Towing guys still checked over the car to see if they could fix the situation on the spot. In the end, they towed my car to my mechanic, even though it was considered “long distance” – Green Towing didn’t charge me an arm or leg! Scott Miner 11/2/2008: It was 3:00 in the morning, and my car wouldn’t start. A bad situation turned into an easy fix. Green Towing had a look at my car and immediately determined I didn’t need towing, but only a jump start. 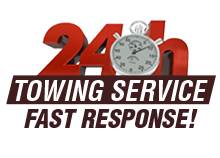 They saved me time, money, and the trouble of going through an unnecessary car tow. Thank you! Chris Samuels 7/11/2008: Fast timing! I needed a jump start and Green Towing came to me right away. They stayed with me to make sure I was fully powered and able to drive. Simple, easy, and not expensive. I highly recommend these guys! Tina Garcia 2/18/2007: When I got into an accident, Green Towing was able to pick me up and my car within 20 minutes of calling. They were really fair in terms of pricing and they were experts at flatbed towing.